4pm: Home middle school baseball game @ Community Park. Play ball! 6pm: Book Club @ Ocracoke Library. Join us to discuss "The Nest" by Cynthia D'Aprix Sweeney. All are welcome! We'll also choose a book for April. POSTPONED due to weather: 2pm: National Park Service meeting @ Community Center. Cape Hatteras National Seashore superintendent Dave Hallac will give a presentation on the 2018 year in review and answer questions about current park projects. POSTPONED die to weather: 6pm: Cape Hatteras National Seashore will present a free program: "The Enemy in Home Waters: How World War I Came Home to America's Shores" @ Community Center. Tane Renata Casserley of the NOAA Monitor National Marine Sanctuary will give the presentation on the U-boat activity off North Carolina's coast in the first World War. 7pm: Trivia Night @ Gaffer's. $2 to play; teams can be made of up to four people. Come out and show off how smart you are! Proceeds benefit a good cause. Howard's Pub opens for the season serving lunch and dinner. 7pm: North Carolina Shell Club meeting @ Community Center. 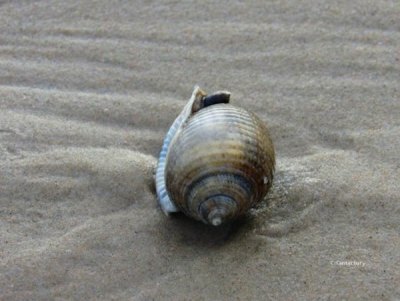 The NC Shell Club holds their annual meeting on Ocracoke each spring. All are welcome to attend! Friday night events: Registration 6:30 pm, Meeting 7-8 pm: Business Meeting. Speaker: Philip Howard - "Past Ocracoke Life Station Events and Experiences" Break/Door Prizes 8-8:15 pm Live Auction 8:15 pm. Special Live Auction of Indo-Pacific shells. 7pm: North Carolina Shell Club meeting @ Community Center. The NC Shell Club holds their annual meeting on Ocracoke each spring. All are welcome to attend! Saturday evening events: Registration 6:30 pm; Meeting 7-8 pm; Speaker: Dr. Dan Minior -- "Marine Envenomation and Medicine" -- Break/Door Prizes 8-8:15 pm; Silent Auction/Find of the Day.